Elite athletes from across Britain are currently making last-minute preparations for the national indoor championships – and they aren’t just dreaming of adding more medals to their haul. Not only are there 26 British titles at stake, athletes who impress the national squad’s selectors at Arena Birmingham this weekend could also secure places on the British team for the 2019 European Indoor Championships, which are scheduled to take place in Glasgow in March. So, when do the British Indoor Championships get underway, which events do they include, and which track and field stars are taking part? 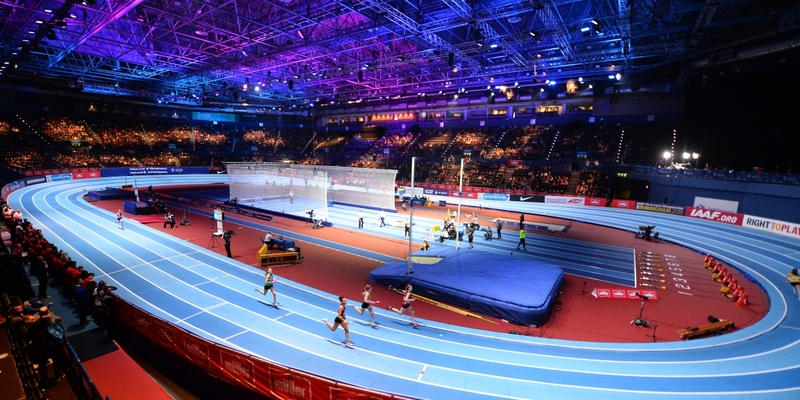 This year’s British Indoor Championships will be the 63rd edition of the event. It’s a closed competition, so only athletes who have received invitations and met certain standards in their chosen events can compete. The programme includes 26 different events, comprised of men’s and women’s competitions for the following: the 60m, 200m, 400m, 800m, 1500m, 3000m, 5000m walk, 60m hurdles, long jump, shot put, high jump, triple jump, and the pole vault. That means that there’s an impressive 78 medals up for grabs. The Arena Birmingham’s doors open at 10.30 on Saturday 9th February and the competition gets underway at 12.00 that day, when the participants in the women’s 60m heats will take to the track. Spectators will be treated to a busy afternoon of sporting action, with the final event of the day, the women’s 1500m heats, scheduled to begin at 18.15. On Sunday, the doors open at 10.00, with the first event (the women’s shot put final) set to commence at 12.00 and the final event of the competition (the women’s 1500m final) due to start at 17.05. British Indoor Title Hopefuls – Which Sporting Stars Will Be Battling for the Medals? Some of the biggest names in British track and field sports have accepted invitations to compete at this year’s event. For example, Olympic medallist Asha Philip, the current European Indoor 60m champion, and Morgan Lake, who won silver medals in the high jump at the 2018 editions of the Commonwealth Games and the Athletics World Cup, will both be aiming to secure their fourth back-to-back British indoor titles in Birmingham. Andrew Pozzi, the 2018 60m hurdles World Indoor Champion, will be attempting to win the British crown for a fifth time, while Nethaneel Mitchell-Blake, who seized the silver medal in the 200m at the 2018 European Championships will be competing in the men’s 60m event. Laura Muir, the 2018 1500m Diamond League champion, meanwhile, will be hoping to win yet another title, having already started 2019 off in style: she was part of the British mixed relay team who triumphed at the Great Stirling Cross Country event last month. Which British athletes do you think will come home with national indoor titles? Tell us who your favourite championship contenders are on Twitter, on Facebook or below.